Since we are a Tile Contractor in Florida we know the importance of ways to protect your new tile investment from cracking due to minor slab cracks or in plane horizontal movement. We have been witness to many beautiful tile jobs that were installed wrong and failed from small cracks, delaminating or even tenting of the tile. One of the product we use in Florida for these problems is the Noble CIS – Crack Isolation Sheet. CIS is a Chlorinated Polyethylene sheet membrane that protects thin-set tile from cracking by relieving the stress caused by horizontal movement in the substrate. Also, helps to preserve tile patterns by bridging control joints. Our company offers many different types of quality membranes to fit your project and your budget. 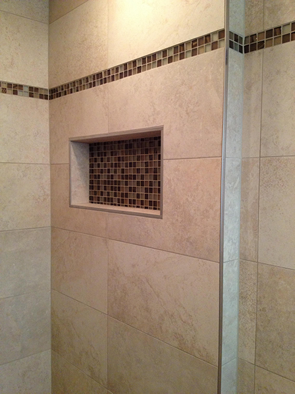 If you are interested in a tile job that is crack proof Contact Us. 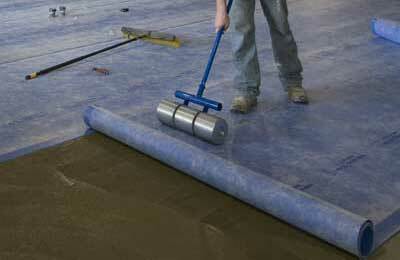 NobleSeal® CIS is made from chlorinated polyethylene (CPE) with a non-woven polyester fabric laminated to both sides. The fabric provides a bondable surface so that the membrane can be bonded to a substrate and tile can be bonded to the other side. The CPE membrane in the middle provides elasticity and relieves the stress caused by differences in movement in the tile field and in the substrate. CPE is impervious and an extremely effective barrier to water and vapor. It’s not affected by variations in temperature and is resistant to a broad range of chemicals. CPE is so durable, Noble Company can guarantee that it will last the life of the original tile installation. NobleSeal® TS and NobleSeal CISQ. What is the difference between NobleSeal TS and NobleSeal CIS? A. TS was initially developed as a product for thin-set waterproofing. The sheet is a composite made from CPE with non-woven fiber laminated to both sides. There is a two-inch [2″] bare edge on the bottom of one side of the sheet and the top of the other side. This area of bare CPE membrane was is for joining [seaming] sheets together. TS is .030″ thick and comes on rolls 5′ X 100′. CIS was designed for crack isolation. It is also a composite and is made from CPE with polyester fiber laminated to both sides. However, CIS does not have a bare edge and fiber covers both sides of the membrane. CIS is also .030″ thick and comes in 4 different widths [2′, 3′, 4′ and 6′]. All CIS rolls are 50′ long. The contractor and owners can be assured that their tile investment will last a lifetime with the use of a product like this.